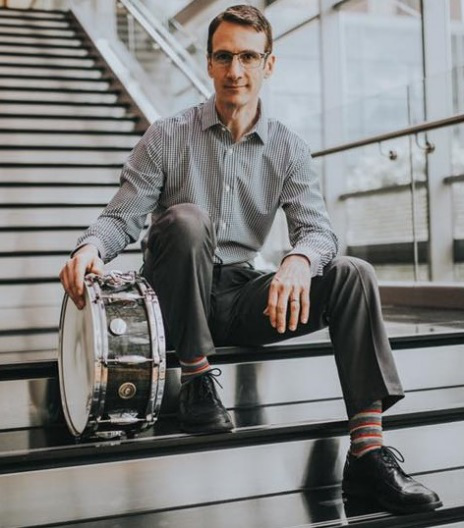 Congratulations to drummer Fred Knapp on being chosen for West Michigan Jazz Society’s 2019 Musician of the Year! Check out the April-May edition of Jazz Notes newsletter for all the details! There will be a dinner/dance held in his honor on Tuesday May 14 th at Noto’s Old-World Dining. Music will be provided by the John Shea Trio featuring saxman John Gist. Click on the form at left (or above on a phone) to open and read or print a reservation form. Reservations can also be made via your credit card or Paypal below. If ordering online, be sure to include the quantity of each dinner choice in the form below. For details about Event Sponsorship Tables, see the reservation form. Choose one of the Member options for your reservation. Please use the print-and-mail form at left if you are reserving for more than two. Please note that $2.50 per ticket has been added as a convenience charge.